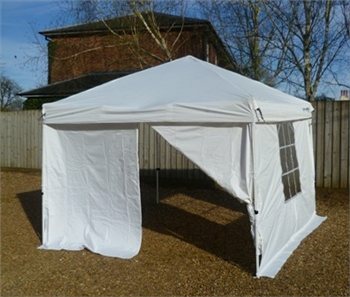 Set of 4 side walls comprising: 2 walls with large windows, 1 solid wall and 1 wall with a large roll up door providing good overall protection from the elements. Good value and easy to put up. Well worth having as a standby when the weather's not looking good.